PRAYER PROMPT ••• Today is my son’s 20th birthday (or another way to look at it – my own personal Labor Day). On the day he was born, my delivery room overlooked the hospital helicopter pad, and I had an unimpeded view of what was going on outside. On January 19th, 1998, it was sunny; it rained, and it snowed. I found that fascinating as I laid there, and it’s a memory that has stuck with me all these years. I can’t help but wonder if God was trying to tell me something and it only took the better part of 20 years for me to figure it out… there will always be change and seasons in life. But God is there in the middle of it all, showing us His merciful nature. As I reflect on my anniversary of motherhood, I can see so clearly those seasons, even God’s presence (though during that time of my life, I pretty much ignored Him). And what is another birthday, but a milestone? Isn’t He merciful year in and year out? Even day by day as He gives us repeated opportunities to wake up and live for Him? I thank God for His incredible mercy and willingness to forgive us for our past mistakes. If you consider the translation of verse 6a, shouldn’t every day be a celebrated milestone of His mercy and grace? Try as we might, each day we come up short. But we serve a God who can make it rain and snow on the same day and still fill the sky with sunshine. Today, as you pray, thank God for a new day and His generous love and mercy. 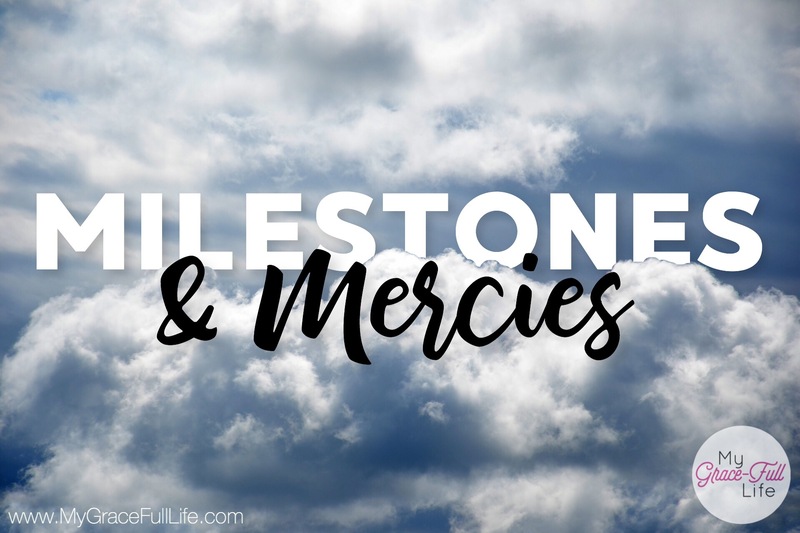 Thank Him for marking our lives with milestones of grace – more milestones than we can begin to count.